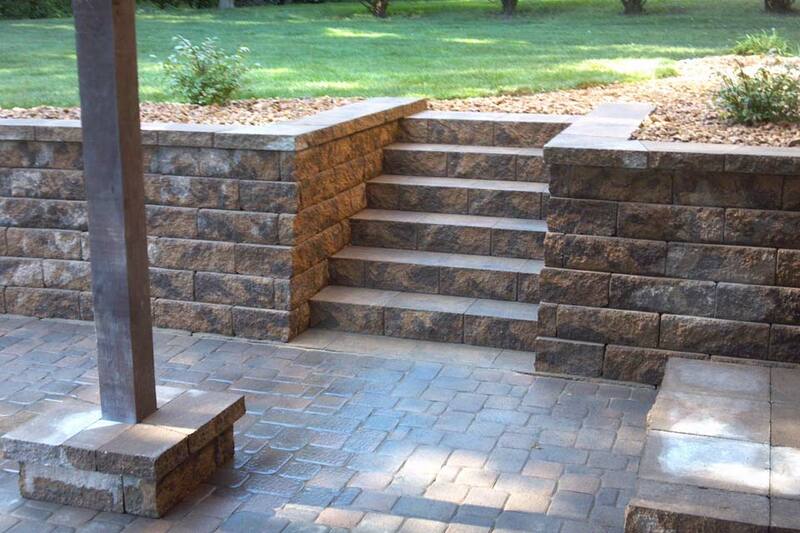 Installing tiered retaining walls with staircases is a unique way of joining your front yard with your backyard. Tired of silt and dirt running onto your parking lot? Call Groundworks today for your free estimate on your new retaining wall. Front porch seating areas are perfect for those early summer morning coffee breaks. 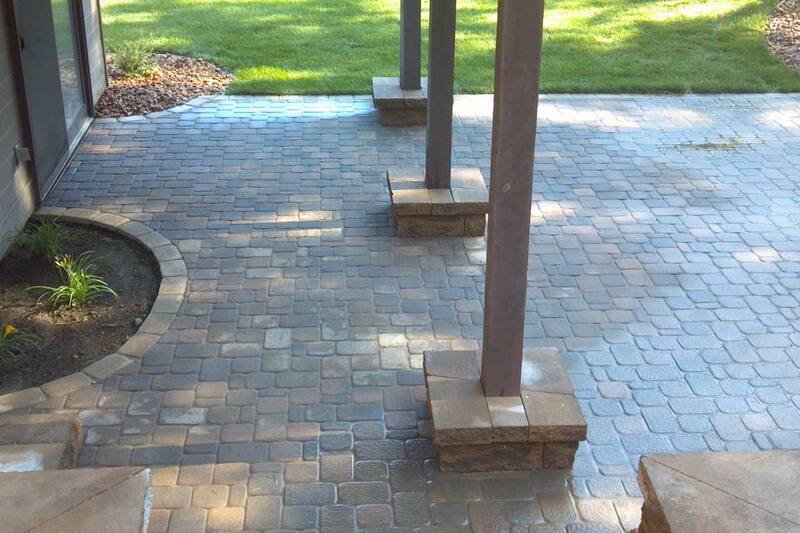 This custom patio was built by Groundworks to extend outdoor living space for its customer in Hastings,Mn. 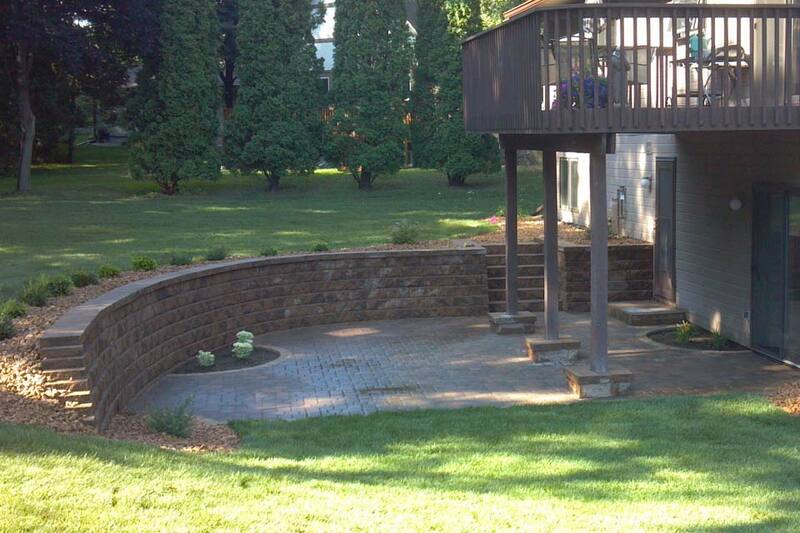 Two tier patio to accommodate your outdoor living needs near Hastings, MN. Installing large block retaining walls can be very effective in areas with more than 4-5 ft. in elevation change. Chilton retaining walls are great for giving a more natural feel to your landscape. This wall was built by Groundwork’s team using block provided by the homeowner. Do you have a project you just cant get to? Give Groundworks a call today! Large retaining wall functions as an elegant solution to the typical egress window well, built in Minnesota’s South Metro. Retaining wall and patio built to correct drainage issues. Landscape grading and paver patio built to solve drainage issues. New Pool? Let us help beautify its surroundings. Call your locally owned contractor today! Groundworks is a family owned landscaping contractor, based in Hastings, Minnesota, with a reputation for beautiful, long-lasting landscapes and hardscapes. Our services include wet basement solutions, paver patio installation, shrub and tree planting, retaining wall construction, snow removal and more. We serve both residential and commercial clients in Minnesota's metropolitan area including Hastings, St. Paul, Inver Grove Heights, Eagan, Woodbury, Burnsville, Red Wing and other surrounding Twin Cities suburbs. 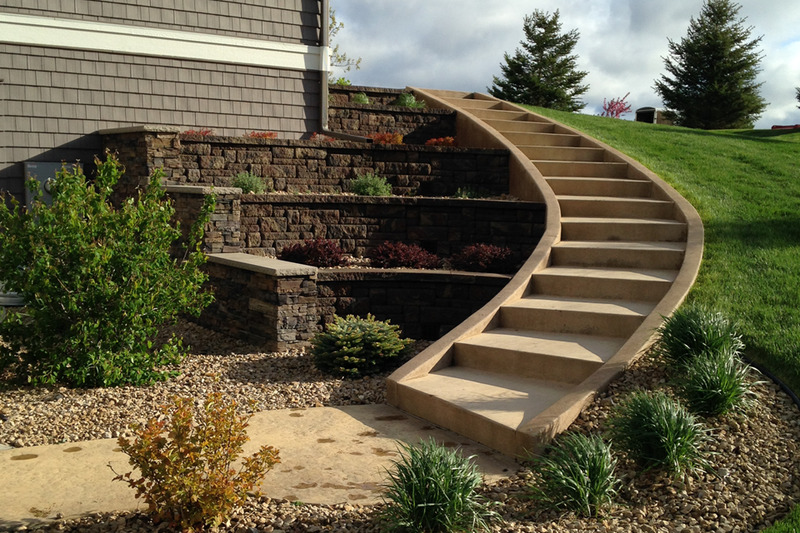 Groundworks builds an impressive boulder retaining wall in Eagan, Minnesota. As professional landscapers, we know how much a properly built landscape affects the overall appearance of a home. Curb appeal is a highly sought out feature for both homeowners and buyers. We’ve decided to apply this same concept to our website and are excited to share with you the new and improved website for Groundworks!